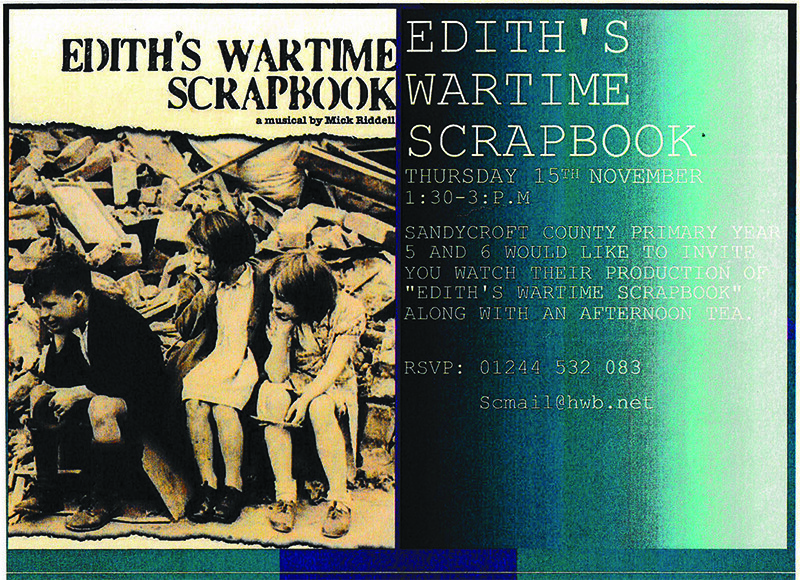 On the afternoon 15th November Royal Navy Normandy veterans, John Dennett and Richard Llewellyn, attended Sandycroft County Primary School’s year 5 and 6 production of “Edith’s Wartime Scrapbook” as special guests. Richard’s partner Elly, Victoria & John Phipps were also pleased to be invited along and everyone very much enjoyed the afternoon tea! 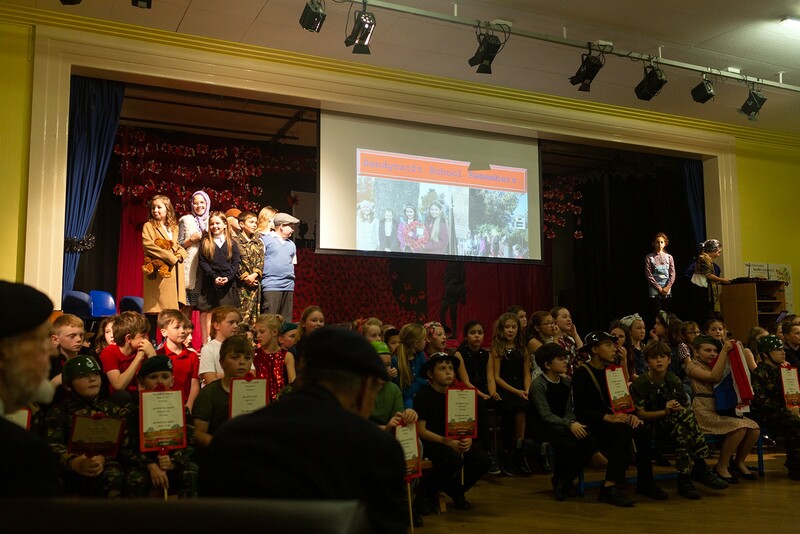 It was clear the children and the teachers had put a huge amount of hard work into the production, which took the audience on a chronological journey from the outbreak of World War II in 1939 right through to the VE-Day celebrations in 1945. 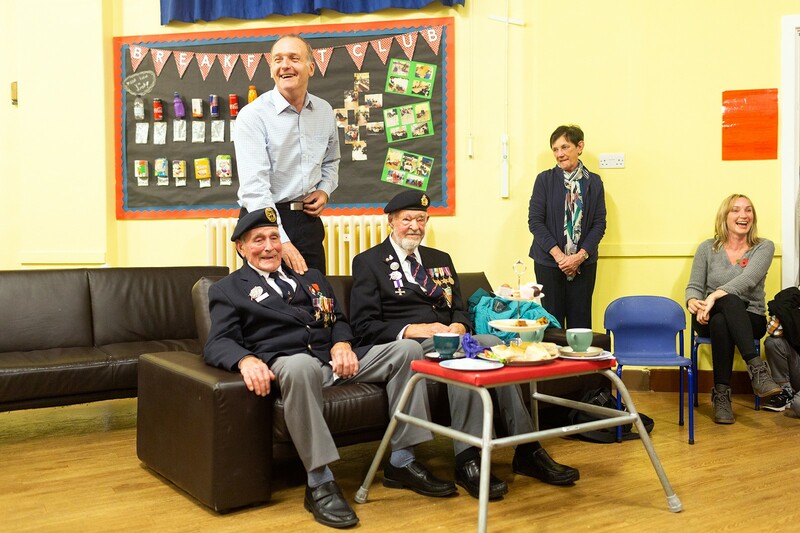 Richard and John were visibly moved by the story and stood to thank the children for inviting them to see the play, which Richard said “brought back an awful lot of memories“. After the play had finished John Phipps congratulated the children on their fantastic performance. He then introduced both veterans and let the children in on “a little secret“. He explained that John Dennett had told a tiny fib during the war; claiming he was 18-years-old so he could join up, when in fact he was still only 17! John also told the children a little about our annual visit to the Norman town of Thury-Harcourt. He explained that the battle for this town was especially fierce in 1944 and that many civilians lost their lives, including several schoolchildren and two teachers. 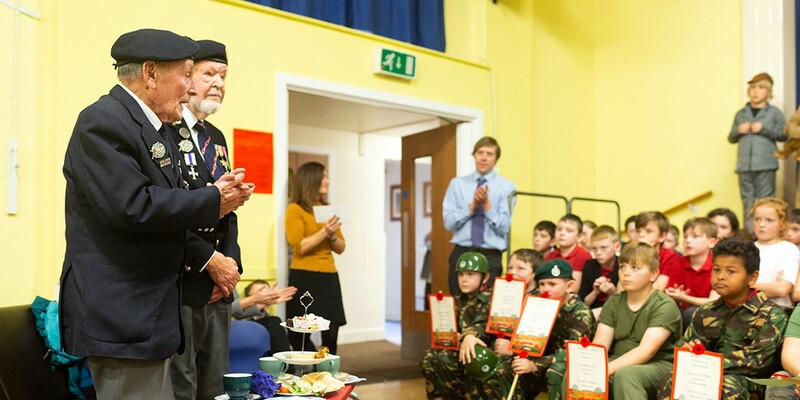 However despite the huge losses endured by the townspeople during WWII, they always give the British veterans the warmest welcome and each year the pupils of the local school join in the remembrance ceremonies and sing not only the ‘Marseillaise’ but also ‘God Save the Queen’. Many of the children were visibly moved by this story, particularly in the context of all they had learned during their time working on the play. Then to our surprise two of the pupils were invited to step forward by year 5 and 6 Department Leader, Mrs. Bithell, to make a presentation to John. Having only very recently found out about the charity thanks to one of their year 6 pupils, Sandycroft County Primary had raised £300 over the cause of Remembrance week. One of the pupils had raised £50 separately with the help of her family, which she also kindly donated to D-Day Revisited. John accepted the donations very gratefully and thanked the children and teachers once again for all their efforts and their wonderful hospitality!